Marieme is 16 and determined not to follow her mother’s path as a hotel cleaner. 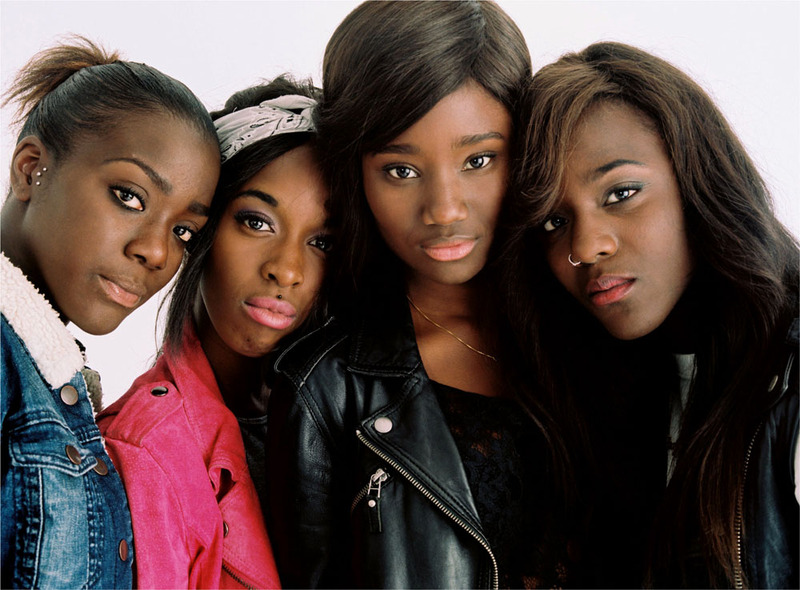 She begins hanging out with a girl gang in the banlieue where she lives and before long has been accepted as a member. as Marieme. The use of pop music is excellent - particularly in the scene where the girls lip-synch to Rihanna’s hit song ‘Diamonds’. examination of girl power has been accused of exoticising its subjects but in the end Sciamma has created a real and fascinating bunch of characters from a group rarely very portrayed on screen. January 5, 2016 by Lucas Jones. 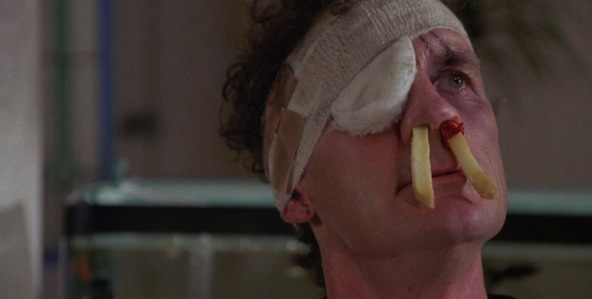 Our last movie - A Fish Called Wanda - was about the comic aftermath of a diamond robbery. Rififi is about a heist of a very different kind and is perhaps the finest film noir ever to come out of France. It tells the story of Tony - a down on his luck jewel thief, who with his gang devises a plan to commit the seemingly impossible robbery of a jewellery shop in Paris. Rififi was directed by an expatriate American - Jules Dassin. Dassin had made a series of first-rate crime movies like Brute Force and The Naked City in the US but moved to France in the early 1950s when he was blacklisted and prevented from working in Hollywood for his political views. Rififi was originally set to be directed by Jean Pierre Melville, one of the greatest French filmmakers in the crime genre. Dassin adapted the screenplay from a bestselling novel and made some significant alterations of plot and character. The greatest change was to turn the robbery itself into the centrepiece of the film - a half hour sequence without music and featuring almost no dialogue which is a master class in suspense imitated in numerous other pictures since including Ocean’s Eleven. 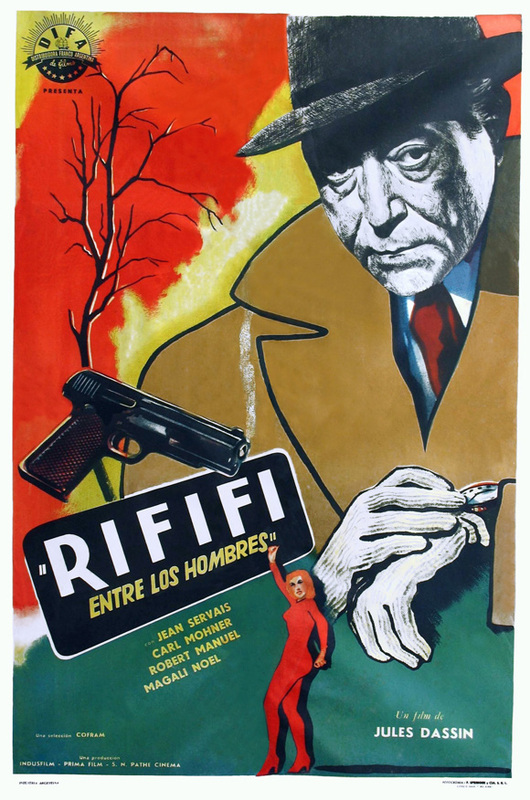 Rififi was more than once accused of being a lesson in how to commit a robbery and was subsequently banned in a number of countries when imitation burglaries took place ! Dassin won the best director award at the Cannes Festival and when Rififi became a success in the United States he was soon allowed to work there again. However he made most of his subsequent films in Europe going on to marry the Greek politician and singer Melina Mercouri. November 17, 2015 by Lucas Jones. Our last film was The Sweet Smell Of Success was directed by Ealing alumni Alexander Mackendrick and co-starred Tony Curtis. Tonight’s movie - the classic modern British comedy A Fish Called Wanda - is linked to it in not one but two ways. It stars Curtis’ daughterJamie Lee and was directed by another great Ealing man - Charles Crichton. Crichton’s credits included such solid gold hits as The Titfield Thunderbolt and The Lavender Hill Mob. This was his final film - he was 78 years old when he made it - having been brought out of retirement by John Cleese. 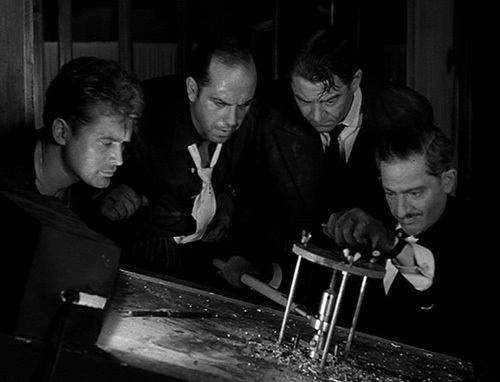 Like The Lavender Hill Mob it is about the aftermath of a heist but the incompetent gang in A Fish Called Wanda are attempting to find the diamonds hidden by their boss before he went to prison. A Fish Called Wanda combines the best of Fawlty Towers with impeccable Ealing craftsmanship - the cast were reunited in a 1997 sequel - Fierce Creatures - which sadly failed to come even close to the brilliance of the original. For those interested in trivia - Cleese’s character in the film 'Archie Leach', is the original name of Hollywood legend Cary Grant. November 1, 2015 by Lucas Jones. Our last film before the summer break was Local Hero, featuring a memorable cameo by one of Hollywood’s most engaging stars - Burt Lancaster. Lancaster began his career as an acrobat but later turned to acting and in addition became a powerful producer with his own company - Hecht, Hill, Lancaster. Alexander Mackendrick directed two of the finest of all the Ealing comedies - Whiskey Galore and The Ladykillers but in 1954, when the studios were sold, he found himself out of a job and moved to the USA. After a couple of false starts he was hired by Lancaster to make a film of Ernest Lehman’s novella about J J Hunsecker - a vicious newspaper columnist and his relationship with Sidney Falco - a devious press agent. Lehman (whose screen credits include North By Northwest and The Sound Of Music) had been a publicist early in his career and based the character of Hunsecker on Walter Winchell - the infamous journalist whose column was syndicated and read by millions of people worldwide. This brilliant noir drama, beautifully photographed in black and white by James Wong Howe, is one of the darkest and most unflinching films ever made about show business. An atmospheric score combines the music of Elmer Bernstein with the jazz themes of the Chico Hamilton Quintet to produce a perfect accompaniment to the sleazy machinations of the film’s plot. October 9, 2015 by Lucas Jones. 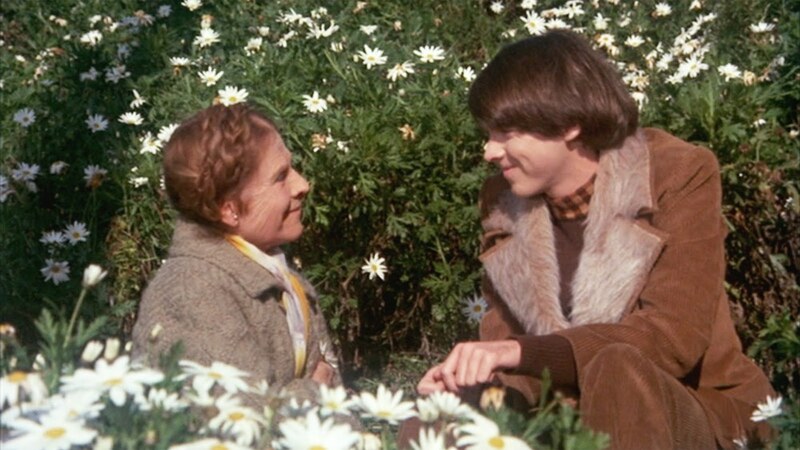 Our last movie Harold And Maude was a black comedy about a very odd couple and their unlikely romance. 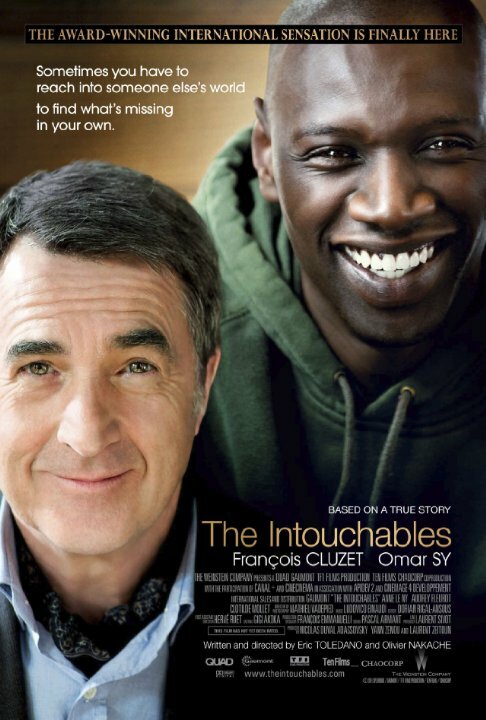 Untouchable (Intouchables) tells the story of another seemingly mis-matched pair, drawn together by fate - who form a relationship that changes both their lives. Philippe is a wealthy white man living in Paris, left a helpless quadriplegic after a paragliding accident. Driss is a young black ex-con from a poor and deprived family in the banlieue. When he turns up for an interview as Philippe’s live-in carer Driss has no intention of getting the job but the next day finds himself in the role. Philippe likes the fact that his new nurse shows him no pity and the two men develop a combative rapport with one another which suits them both very well. Based on a true story, this very funny film has a take on disability that is refreshing and irreverent. Untouchable features two outstanding performances by the leads. Omar Sy in particular is a revelation in his first major movie role after a career in comedy and TV. His energy and anarchy find the perfect foil in François Cluzet as the sarcastic and embittered millionaire. 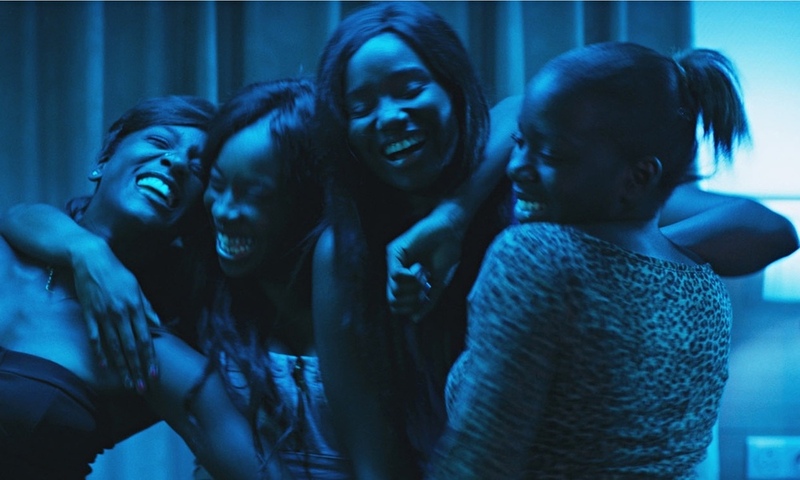 Omar Sy worked again with the directors of this film in Samba which was released earlier this year. September 23, 2015 by Lucas Jones. Hal Ashby’s beautiful, strange and touching comedy is among the finest films of the 1970s and deals with one of the last great sexual taboos. His other work includes Shampoo, The Last Detail and Being There - all wonderful quirky pictures that got under the skin of American life mercilessly lampooning convention and conservatism. 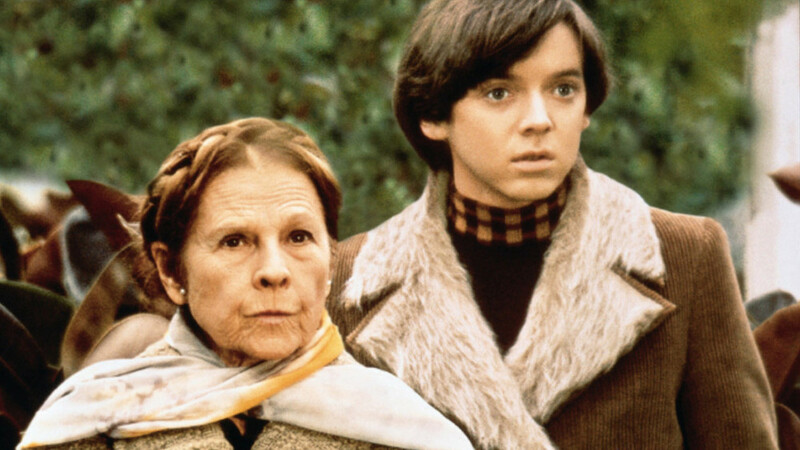 Harold And Maude is perhaps his best movie and features flawless performances from Bud Cort and Ruth Gordon as the misfit pair. Ruth Gordon was a talented writer as well as an actress - her scripts included the Hepburn/Tracy comedies Adam’s Rib and Pat And Mike. She deservedly won an Oscar for her mesmerising performance as the sinister neighbour in Rosemary’s Baby. July 17, 2015 by Lucas Jones. Our last movie The Ruling Class was a wild British farce about a dysfunctional aristocratic family and their various hangers on. This darkly comic film also deals with family dynamics - but of a very different kind in a very different place. 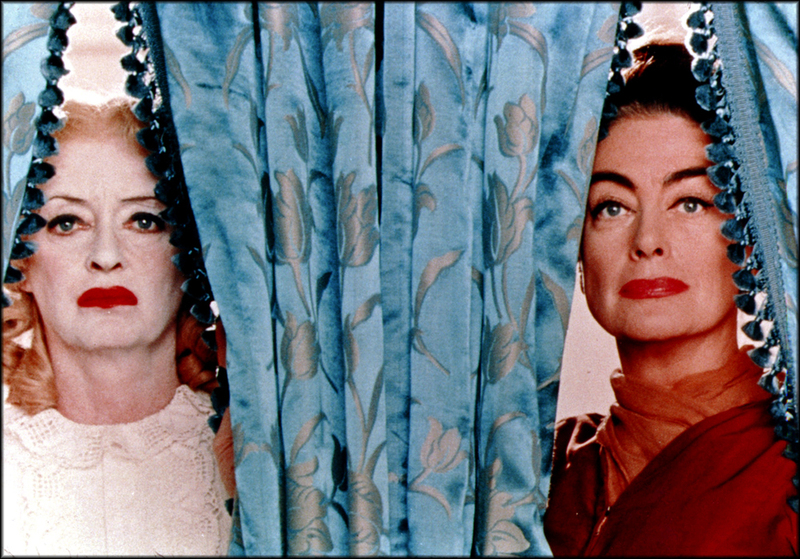 Jane and Elvira - two ageing showbiz sisters long past their prime, played by Bette Davis and Joan Crawford, live in a crumbling Hollywood mansion. Blanche is wheelchair bound and submissive and Jane her dominating, cracked and bitter carer. There was a famous rivalry between these two great movie stars who had spent thirty years competing with one another for the best parts. They seemingly disliked each other intensely and the on screen fireworks between them are consequently spectacular! 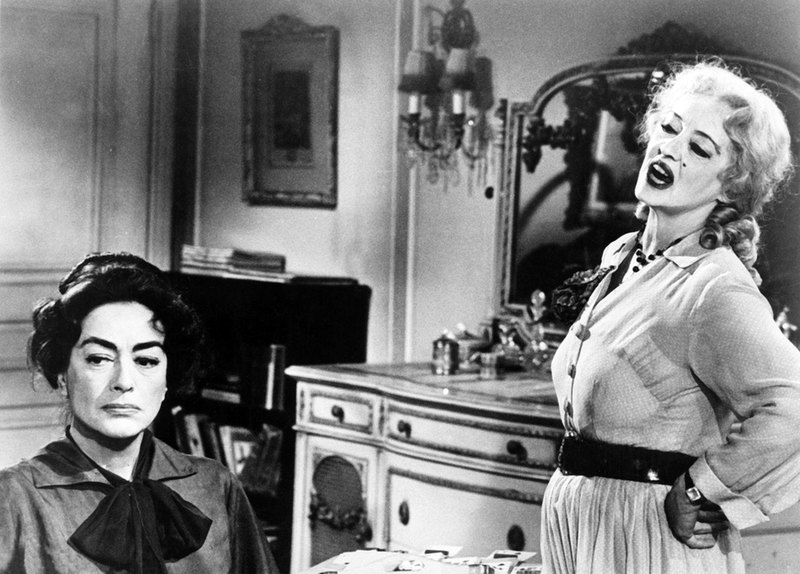 Baby Jane’s director Robert Aldrich was one of Hollywood’s most interesting and diverse talents. He made some of Hollywoods toughest tough-guy pictures including The Dirty Dozen and The Longest Yard, edgy cult films like Kiss Me Deadlyand The Grissom Gang as well as over the top melodramas like Baby Jane and the lesbian drama The Killing Of Sister George. Davis and Crawford are unforgettable in this rich stew of grande guignol as the weird sisters locked in an intense and twisted relationship. 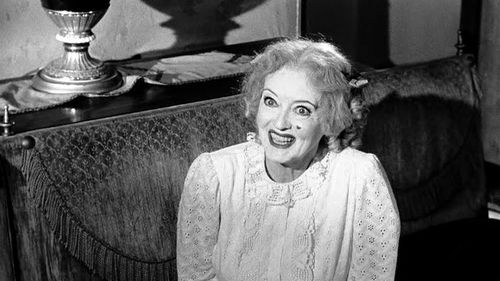 Whatever Happened To Baby Jane? spawned a string of similar entertainments starring ageing Hollywood actresses including Hush, Hush Sweet Charlotte,Whatever Happened To Aunt Alice? and Who Slew Auntie Roo? June 15, 2015 by Lucas Jones. 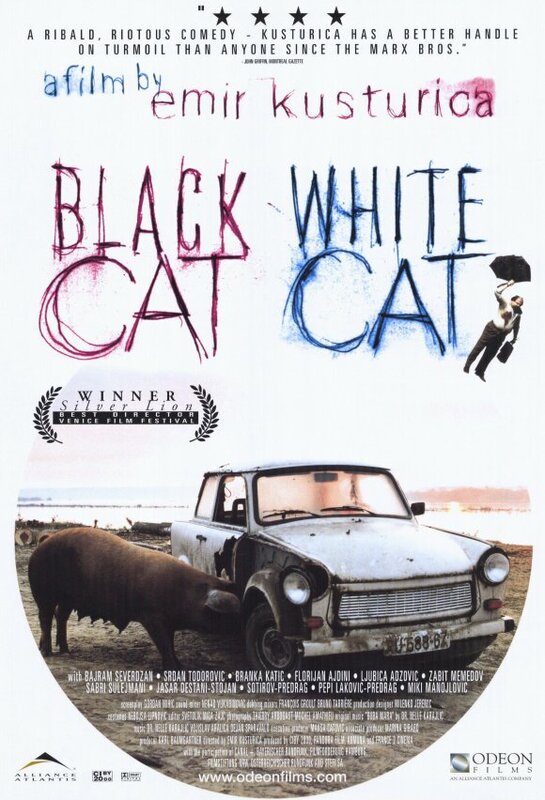 Our last movie Black Cat, White Cat was a wildly anarchic farce about two fathers and their gypsy gangster families. Our next film The Ruling Class is a dark, comic satire about an equally ruthless clan - but this time they are British and part of the landed gentry. The Ruling Class began life as a play by Peter Barnes. 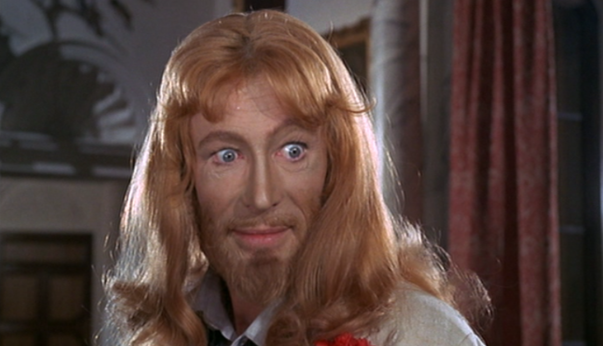 It was Barnes' writing debut in 1968 and with Peter O’Toole in the lead enjoyed a long West End run and picked up several prestigious theatre awards. 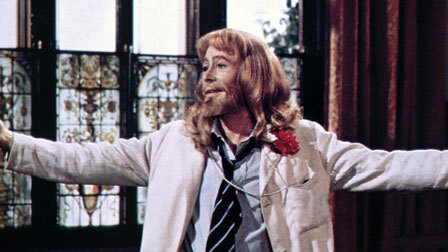 O’Toole bought the film rights and was persuaded to reprise his role on film by director Peter Medak. Medak cast a fantastic group of British character actors in the lead roles including Arthur Lowe as the communist Butler Tucker, Alistair Sim as the hypocritical Bishop Lampton and Coral Browne as the sinister Lady Claire. The Ruling Class is by turns outrageous, disturbing and coruscating as it puts the British political and class systems through the mincer. Like Lindsay Anderson’s O Lucky Man!, made a year later and which we showed a few years back in the AFC, the satire seems just as chillingly relevant today as it did back then. The play was revived this year and has just finished a sell-out run with James McAvoy in the lead. McAvoy was widely praised for his performance as Jack but it pales next to O'Toole's - don’t miss this rare opportunity to see a neglected British classic. June 5, 2015 by Lucas Jones. Our last movie The Philadelphia Story was a madcap comedy that took place in the run up to a society wedding. Our next film Black Cat, White Cat also has a marriage ceremony at its heart but could not be more different in culture or character. 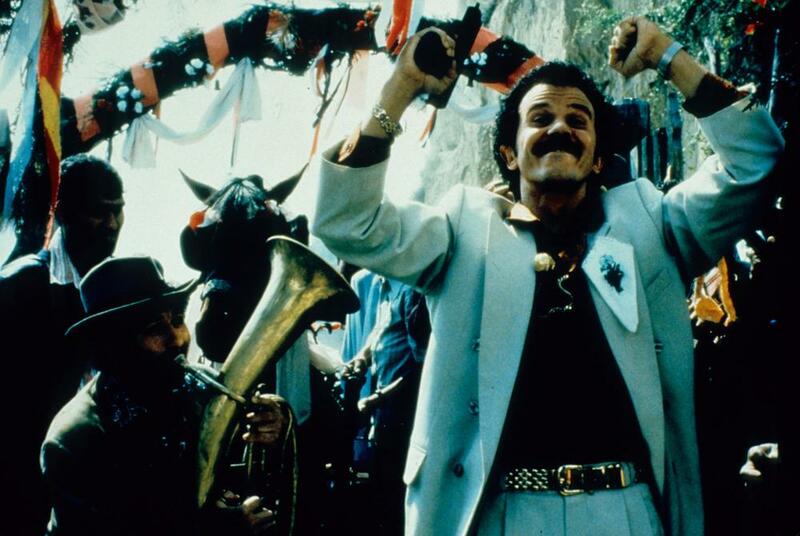 Emir Kusturica’s riotous mix of farce, crime and romance is set among a gypsy community on the banks of the Danube and mixes family ties, magic and double dealing as a black marketeer tries to marry off his hapless son to the diminutive sister of a powerful gangster. The action is driven by the irresistible Gypsy music of Kusturica’s band The No Smoking Orchestra. The director is a remarkable and fascinating artist - he has twice won the prestigious Palme d’Or at the Cannes Film Festival for his filmsWhen Father Was Away On Business andUnderground. He built an actual village - Drvengrad - for his 2004 movie Life Is A Miracle in 2004 - where now lives and holds an annual private film festival. He is also no stranger to controversy - Underground was accused by several sources of being pro-Serbian propaganda. These remarks caused Kusturica to announce his retirement from filmmaking in the 90s - although he returned triumphantly a couple of years later withWhite Cat, Black Cat. 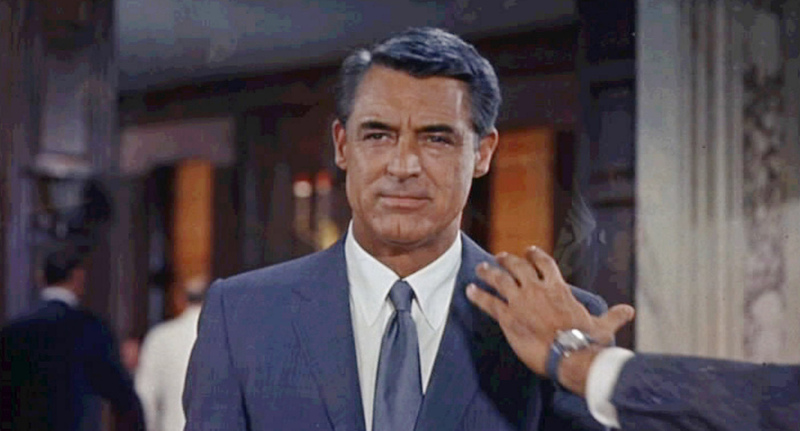 Our last film North By Northwest starred Cary Grant in perhaps his last great film role. The Philadelphia Story sees him in one of his best-known - playing C K Dexter Haven - former husband to socialite Tracy Lord, who on the eve of her wedding to a new husband finds himself once again embroiled with his ex. The story was remade in 1956 as the musical High Society - with Bing Crosby, Grace Kelly and Frank Sinatra playing the leads. The Philadelphia Story is definitely the superior film with a sharper, defter script and more edge and character in the playing. Mike: You're lit from within, Tracy. You've got fires banked down in you, hearth-fires and holocausts.Tracy: I don't seem to you made of bronze? Mike: No, you're made out of flesh and blood. That's the blank, unholy surprise of it. You're the golden girl, Tracy. Full of life and warmth and delight. What goes on? You've got tears in your eyes. Tracy: Shut up, shut up. Oh, Mike. Keep talking, keep talking. Talk, will you? April 27, 2015 by Lucas Jones. 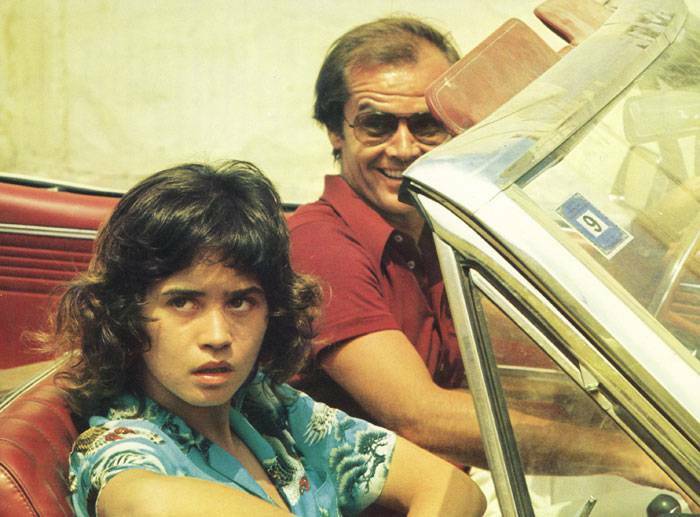 In our last movie 'The Passenger' Jack Nicholson swaps identities with a dead man. In tonight’s film it is mistaken identity that causes Madison Avenue advertising executive Cary Grant to be kidnapped and then pursued across the United States by a nameless conspiracy who want him dead. Screenwriter Ernest Lehman says he set out to write the ultimate Hitchcock picture and he succeeded in spades. This elegant, witty, and romantic adventure is one of the finest films in the Hitchcock canon. Cary Grant is at his most debonair and James Mason his most suavely menacing as the pair playing cat and mouse in a variety of iconic American locations including the United Nations building in New York and Mount Rushmore in South Dakota. You may have watched North By Northwest on TV but don’t miss the chance to see it on a big screen - it’s a very different experience. March 24, 2015 by Lucas Jones. Our last screening Nebraska was a road movie - our next film, The Passenger is a fascinating and very European take on that most American of film genres. When David Locke, a journalist, finds the body of a fellow guest in his room in a hotel in North Africa he decides to switch identities with the corpse. Locke discovers that the dead man was running guns to rebels and is soon embroiled in a strange and dangerous plot. He teams up with a beautiful and inscrutable girl who helps him get away and they embark on mysterious journey through Spain together. Michaelangelo Antonioni was one of the foremost European directors of the 60s and 70s. His films include Blow Up, L’Avventura and Zabriskie Point - they frequently explore identity and alienation and are often visually quite stunning. The Passenger was one of a number of movies he made in the English language and is typically fascinating and ambiguous in its themes and storytelling. The film features a famous and intricate 7 minute tracking shot in its final act - one of the most extraordinary in cinema. Like Walkabout, our last film in the current linked sequence of movies, Nebraska is about a journey. Woody Grant is an irascible and eccentric old man living in Billings, Montana who is convinced that he has won a million dollars in a sweepstake - all he has to do is get to Lincoln, Nebraska to collect his prize. His family are unable to persuade him that he is deluded and his son David eventually agrees to drive him there to prove the point. The two men set off on a road trip that takes them through the ramshackle landscape of small-town America where they have a series of hilarious encounters and adventures with friends, relatives and other people from Woody’s murky past. Their complicated and difficult father/son relationship is stretched to breaking point along the way. Alexander Payne’s wonderfully crafted comedy drama features a handful of brilliant actors - most notably the septuagenarian Bruce Dern playing Woody - for which he won the best actor award at Cannes. Also excellent are June Squibb as Woody's foul-mouthed wife Kate and Will Forte as his long-suffering son David. The black and white cinematography by Phedon Papamichael is exquisite and the script by Bob Nelson funny, deft and beautifully observed. Alexander Payne is one of the best independent filmmakers working today. We screened his razor-sharp comedyElection several years ago and his more recent films including Sideways and The Descendants show him to be a genuine auteur with a wonderful gift for satire. Bruce Dern continues to be one of the most distinctive and charismatic actors in American cinema - as Woody he delivers perhaps the finest performance in his long career. Nebraska was universally praised by critics at the time of its release but seen by far too few people - don’t miss this gem of a movie - a perfect way to start the new year.